Featuring unparalleled amenities the Delaware market has not yet seen. 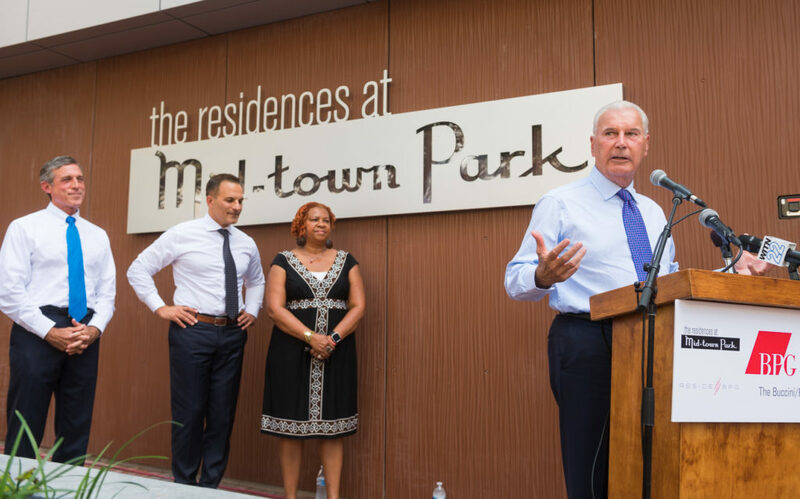 The Buccini/Pollin Group, Inc. (BPG), BPGS Construction, and ResideBPG are pleased to announce the completion of The Residences at Mid-town Park, Wilmington’s newest luxury apartment community steps away from the Market Street corridor at 116 W 9th Street. 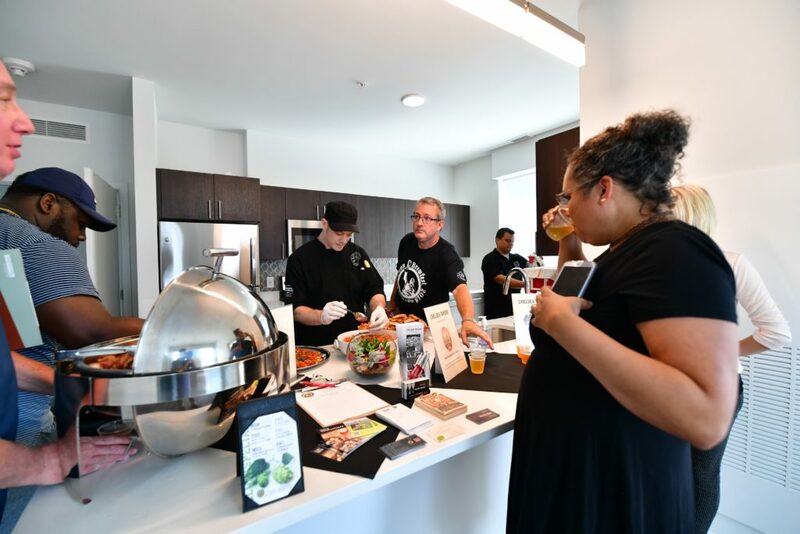 The grand opening celebration and ribbon cutting ceremony for this 200 unit state-of-the-art ResideBPG community took place on Thursday, August 9th at 3:00 PM. Speakers included Governor John Carney, Mayor Michael S. Purzycki, City Council President Hanifa Shabazz, Robert Buccini, Co-President of The Buccini/Pollin Group and Michael Hare, Executive Vice President of The Buccini/Pollin Group. Following the ribbon-cutting ceremony, guests enjoyed an exclusive reception featuring tours of the impressive community, beer tastings provided by Ernest & Scott Taproom, champagne tastings provided by Frank’s Wine, live jazz music provided by The Craig Satchell Jazz & Swing Ensemble, and fresh brews and hors d’oeuvres in the lavish outdoor courtyard from Stitch House Brewery. The Residences at Mid-town Park is where the energy of the city and the conveniences of downtown accessibility collide, steps away from nightlife, restaurants, and shops. Offering studios, one and two-bedroom apartments with stainless-steel appliances, quartz countertops and high-end finish details throughout, The Residences at Mid-town Park features unparalleled amenities the Delaware market has not yet seen including a demonstration kitchen, a bike share program, and a dog washing station. 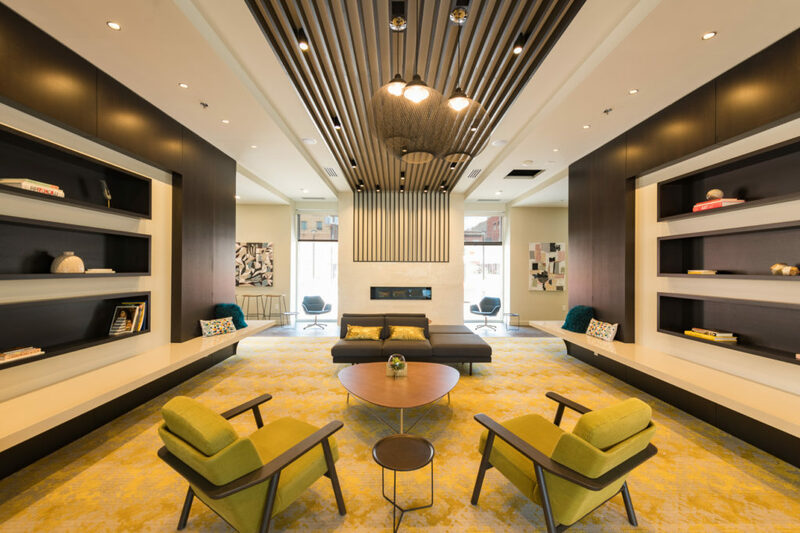 The Residences at Mid-town Park also offers residents exclusive clubhouse amenities, a fitness center, screening room, and a private courtyard with a swimming pool, barbecue area, and outdoor fireplace. The Residences at Mid-town Park is not simply a community, it is an urban oasis. 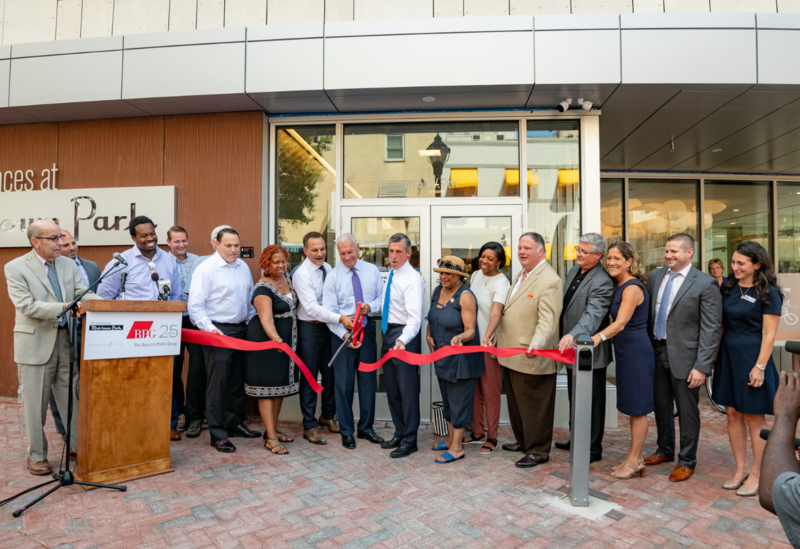 The occasion signified the continued progress of the downtown revitalization movement as the Central Business District expands West of Market Street and attracts residents to be a part of the continued renaissance. 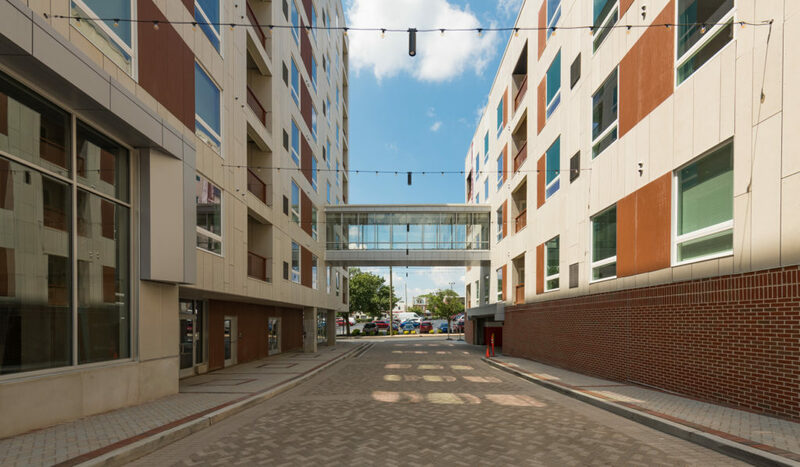 In addition to The Residences at Mid-town Park, the $75 million development included the creation of Burton Place Passageway to connect Market Street to Orange Street, 511 spaces in the City’s first subterranean parking garage at Mid-town Park Garage, and 12,751 square feet of retail space. Burton Place Passageway commemorates an important ruling in civil rights history. The new road between the two Mid-town Park apartment buildings, which gives access to the parking garage, is named after former Wilmington City Councilman William H. “Dutch” Burton. Mr. Burton was denied service at the onsite Eagle Coffee Shop in 1958 and the case was taken all the way to the U.S. Supreme Court, which ruled in favor of Burton. An exclusive dedication event celebrating the historical significance of Burton Place will be held in the near future, complete with the permanent installation of a commemorative plaque. For apartment tours and leasing information visit residencesatmidtownpark.com or call (833) 256-0011.